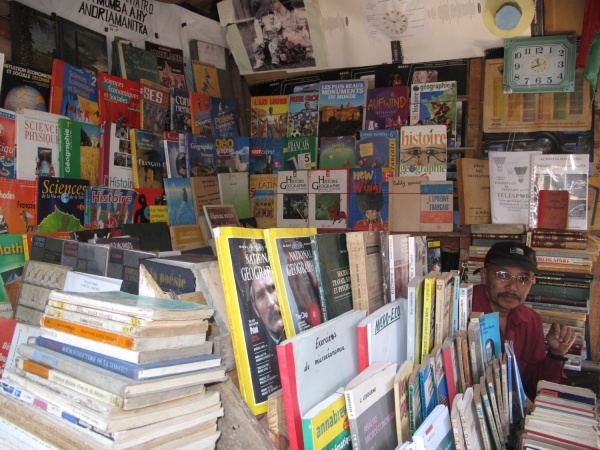 The second-hand book market of Antananarivo is located at the crossing next to Ambohijatovo Park. The various wooden stalls sell everything from old books, old pictures and paintings of Madagascar to new and old magazines as well as reading glasses. The market is open everyday except Sunday. This page was last modified on 6 September 2016, at 00:17.